Low levels of mercury consumption by pregnant women may make their children more likely to have ADHD-related behaviors, according to a new study. But, eating more fish -- which may contain high levels of mercury -- was also found to decrease the likelihood of ADHD and other behavioral problems. "These findings underscore the difficulties pregnant women face when trying to balance the nutritional benefits of fish intake with the potential detriments of low-level mercury exposure," Dr. Susan Korrick, assistant professor of Medicine Harvard Medical School and associate physician at Brigham and Women's Hospital, said in a press release. ADHD, or attention deficit hyperactivity disorder, affects about 10 percent of the population, the study's researchers reported. It is one of the most common childhood neurobehavioral disorders, but it often persists into adulthood, according to the Centers for Disease Control and Prevention. Symptoms include having a hard time paying attention, daydreaming a lot, problems listening, being easily distracted, forgetting things, needing to be in constant motion, acting and speaking without thinking and interrupting others. It can be treated with medication and behavioral therapy. The study, which was published on Oct. 8 in the Archives of Pediatric and Adolescent Medicine, followed 788 children born in New Bedford, Mass. between 1993 and 1998. About 400 pregnant mothers agreed to give a hair sample to help researchers determine their mercury levels and about 500 pregnant mothers completed a questionnaire which asked questions about their fish consumption. Women were not asked about which type of fish they ate, so how the selection influenced mercury consumption was not known. Eight years later, researchers followed up with their children to see if they had any ADHD-related behavioral problems using neuropsychological testing and observed reports children's teachers. On average, mothers had a mercury level of 0.45 microgram per gram. But, once they started to reach 1 microgram per gram levels and higher, 40 to 70 percent of their children had ADHD-behavioral problems compared to mothers with lower levels of mercury. 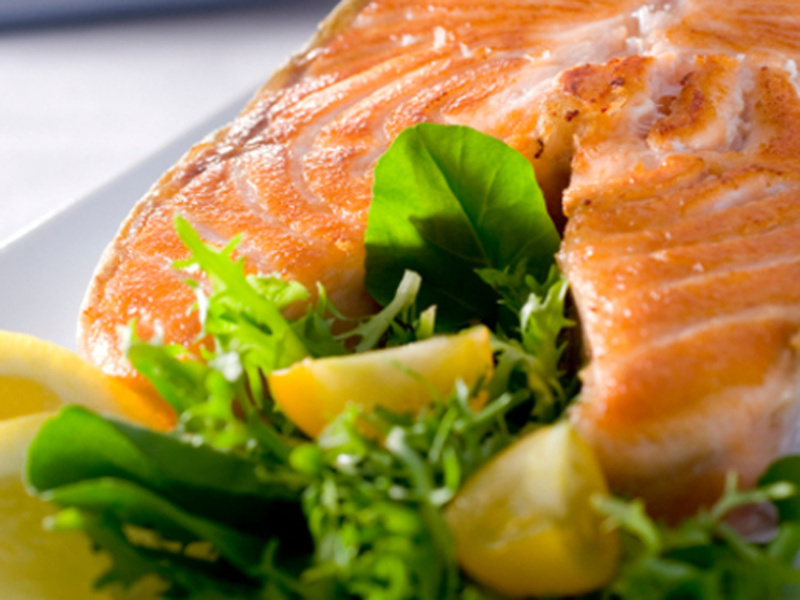 In addition, the study found that mother on average ate two servings of fish a week. The United States Environmental Protection Agency and the Food and Drug Administration currently recommend that women who may become pregnant, pregnant women, nursing mothers, and young children limit their consumption of fish to 12 ounces - about two servings - a week. The organizations also warn not to eat that much fish caught by family and friends in your local lakes, rivers, and coastal areas. However, the study showed that mothers who ate more than two serving a week were 60 percent less likely to have kids who had ADHD-related problems, even when removing for other risk factors like the mother's age and drug use. "The beneficial effects of fish intake are [confused] by the presence of mercury in fish. If you don't take both of them into account, you tend to underestimate the beneficial effects of fish, and you underestimate the adverse consequences of mercury," Dr. Bruce P. Lanphear, professor of children's environmental health at Simon Fraser University and a senior scientist at the Child & Family Research Institute at BC Children's Hospital in Vancouver, Canada, said to WebMD. Lanphear wrote an editorial about the study in which he argued for the benefits of fish consumption. But, he -- along with the government and the researchers -- also recognize that there are certain fish that should be avoided. They advise not to eat shark, swordfish, king mackerel, or tilefish, which are all known to be high in mercury. On the other hand, shrimp, canned light tuna, salmon, pollock, and catfish are known to have low levels of mercury. "It's not necessarily contradictory," Korrick told TIME. "It would be an unfortunate public health message if people stopped eating fish because of the concern over mercury. Understanding and appreciating that mercury avoidance is a prudent thing to do during pregnancy is important, but understanding and appreciating that fish consumption is important is worth remembering as well. Eating fish isn't equivalent to getting exposed to mercury."